Corning is going back to its roots for the 150th anniversary of the company’s move to Corning, New York. 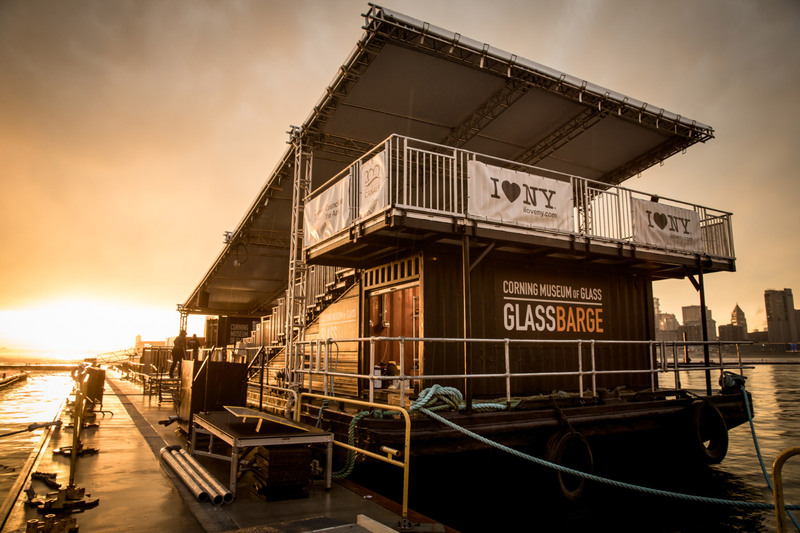 The Corning Museum of Glass has tapped the McLaren Engineering Group’s nautical and entertainment departments for the creation of GlassBarge, a mobile glassworking studio set to travel from Brooklyn to the upstate city. McLaren repurposed an existing 30-by-80-foot barge to create room for both glassblowing performances and space for 150 spectators. 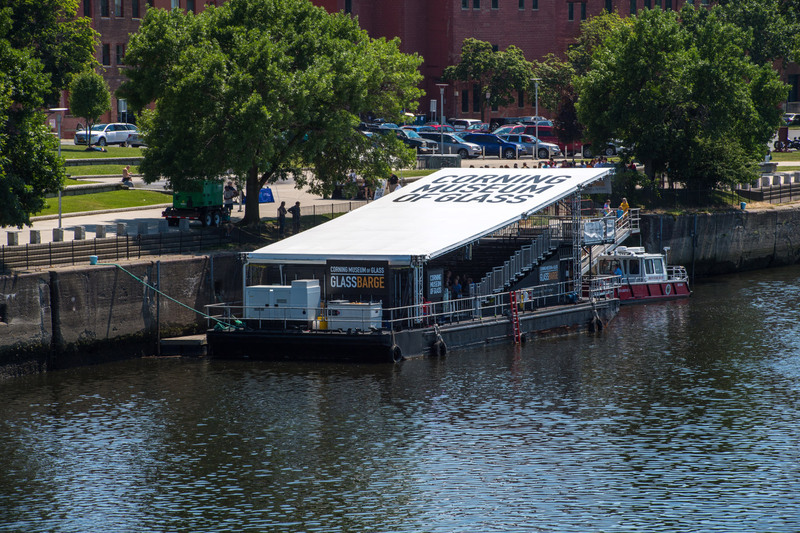 The entire barge was also topped with a 30-by-69-foot-long retractable canopy to protect against harsh weather. Corning was born the Brooklyn Flint Glass Company until they packed up and moved upstate to Corning in 1868. 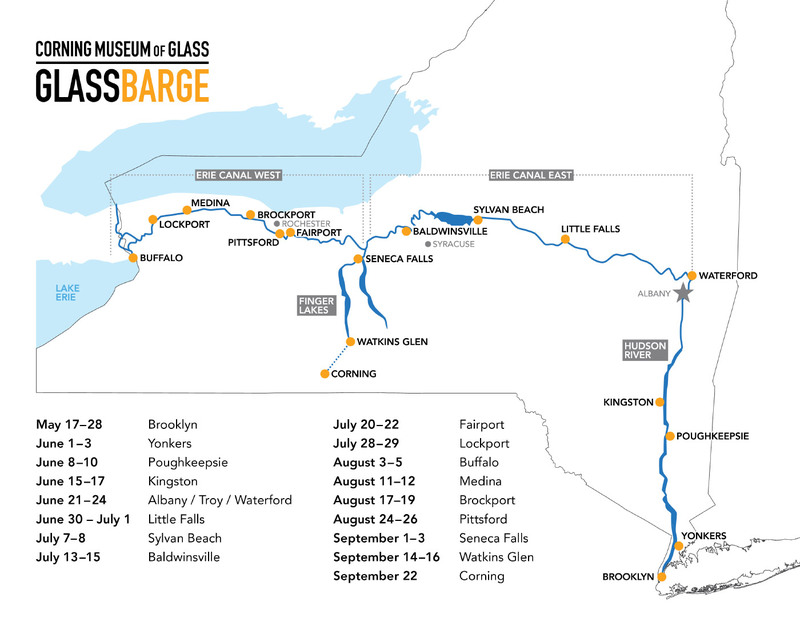 GlassBarge will retrace the historic company’s move across the state’s waterways. The barge launched from Brooklyn Bridge Park in May and will ultimately make 29 stops, hosting public demonstrations and lectures along the way before it arrives at Seneca Lake Pier in Watkins Glen on September 14. After that, the barge will travel to its final home at the Port of Coeymans, just south of Albany, in October. Floating performance spaces have a storied architectural history, from Louis Kahn’s floating orchestra hall Point Counterpoint II, to this year’s inflatable Antepavilion competition winner in London. 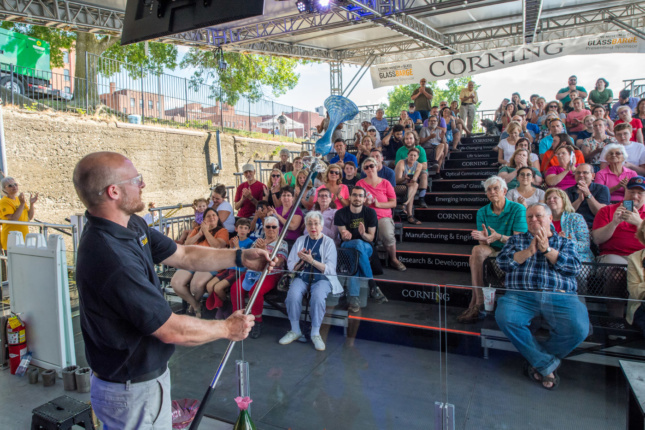 Tickets to the remaining GlassBarge demonstrations can be reserved here.